Easter is right around the corner folks, what are your plans? From Sunday Brunches to Easter Egg Hunts, there are so many Egg-citing events happening this month when you hop on over to City Limitless! What: Who doesn&apos;t love a good meal to satisfy your belly on Easter Sunday? Mark your calendars and make your reservations soon for this delicious event! Where: Golfland/Sunsplash Entertainment Centers, Inc.
What: What a better way to celebrate Easter than participating in a traditional Easter Egg Hunt! Receive toys, candy, and more when you attempt to find these scattered eggs at Golfland Sunsplash! What: Hop into this egg-citing event at Schnepf Farms which includes a petting zoo, attractions, yummy food and more! The Easter Bunny will also make an appearance and will be available for photos! What: Stunning views and Egg-celent food is what you will receive that this Easter Brunch at The Vistas Pavillion! Enjoy a gourmet buffet that will be the perfect assortment for the whole family! What: Join Vertuccio Farms annual Easter event and egg-sperience a candy-filled hunt, breakfast favorites, Easter Bunny pictures, and more fun on the farm! What: Chow down on a delicious Italian meal while you enjoy music played on the Mighty Wurlitzer Pipe Organ. This unique experience comes with an all you can eat pizza buffet and salad, plus unlimited soft drinks! What: Hop on down to this hunt that is geared towards children under the age of eight! Create picture-perfect memories of your tiny tot with an appearance of the Easter Bunny! What: Have you ever seen a Dino Bunny? Explore the Family Fair at Odysea Aquarium for a truly unique Easter experience. From easter crafts to coloring contests, there are so many activities to egg-splore! What: Fall in love with this beautiful Pre-Easter Brunch featuring five delectable stations. The menu items are too delicious to pass up on! What: Enjoy a scrumptious menu including an omelet and carving station at Rustler&apos;s Rooste Easter Sunday Brunch! Sit back and listen to live country music while you dive into the chocolate fountain. Yum! 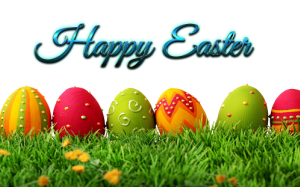 What: Celebrate Easter with Mesa Market and join the fun with the whole family! Kids can enjoy balloon animals, face painting, crafts and more!